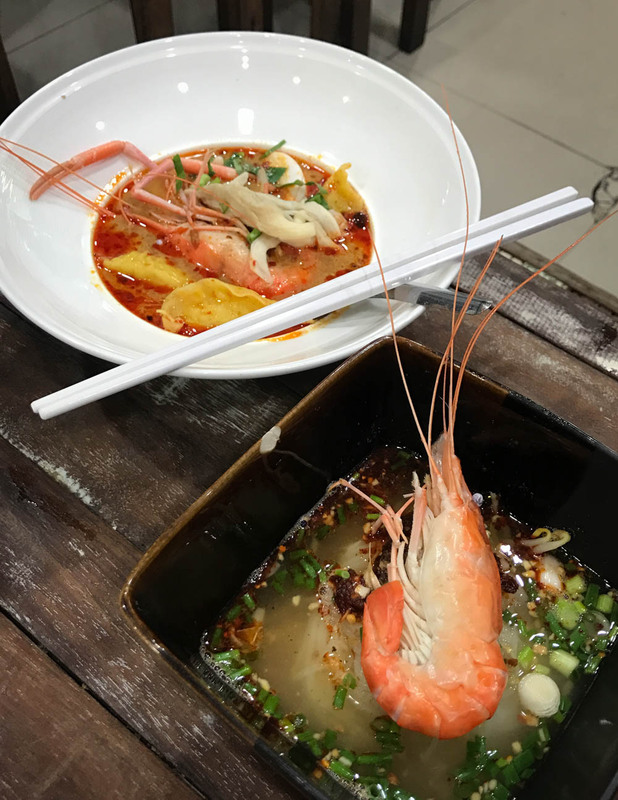 Tom Yum is a really popular Thai soup: a creamy coconut-based soup with prawns that can be found all over Thailand. At Tom Yum Pe Aor, they take Tom Yum to the next level. 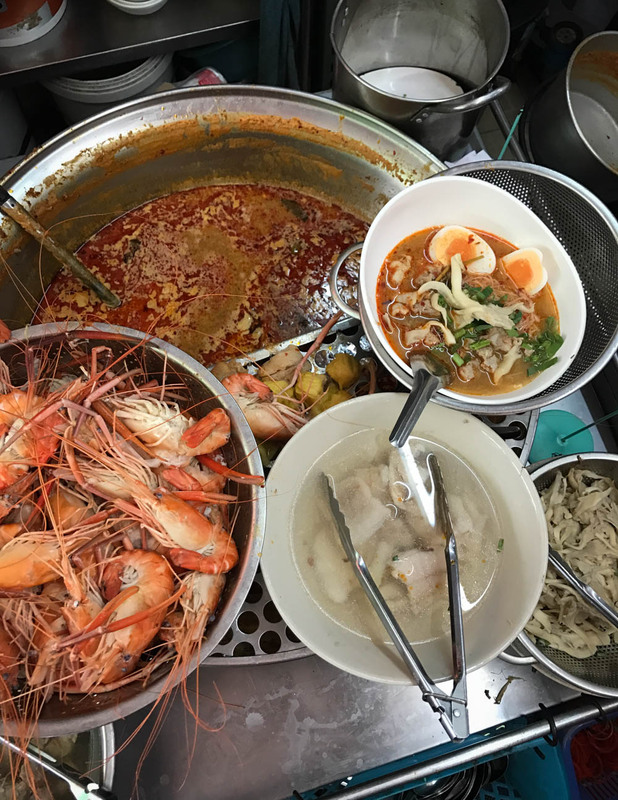 An extensive menu offers all kind of Tom Yum variations: you find light and spicy clear broth versions alongside creamy condensed-milk-based soups. Some are bulked up with egg noodles, others with rice noodles. 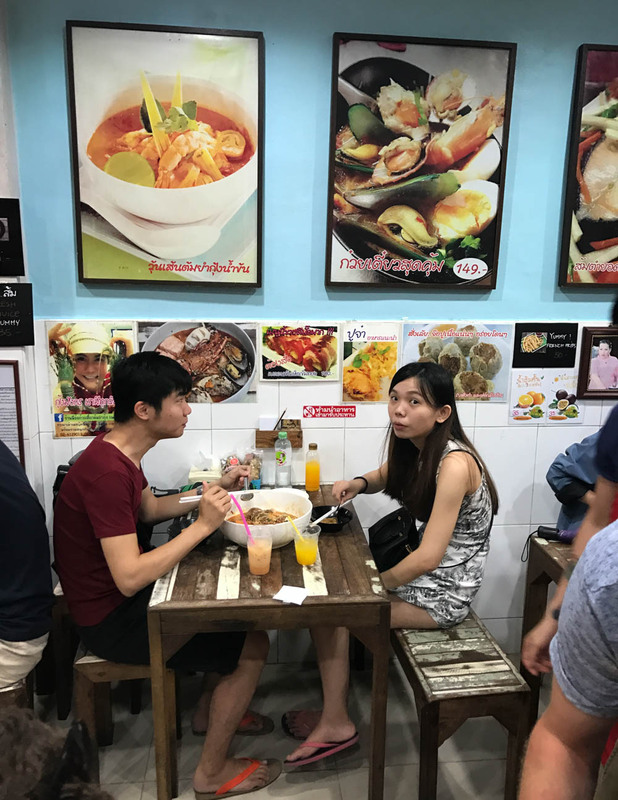 There’s even a ‘lobster in love’ tom yum – a massive soup bowl with a whole lobster brimming on top. Extras, such as soft-yolk eggs, can be ordered separately to create the soup of your dreams. 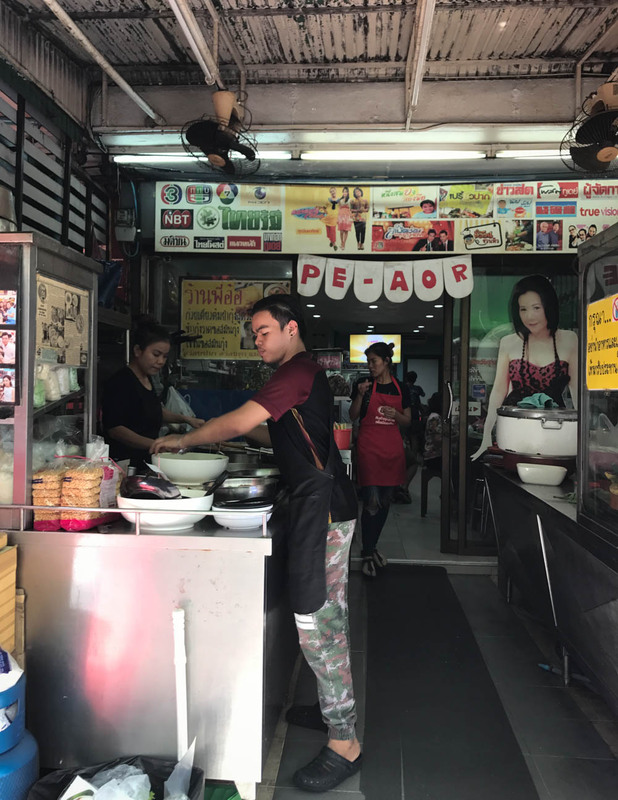 Whatever you order at Tom Yum Pe Aor, it’s not going to disappoint. And if it’s not spicy, salty or sweet enough, you can always add your own flavour notes with the condiment selection on each table. 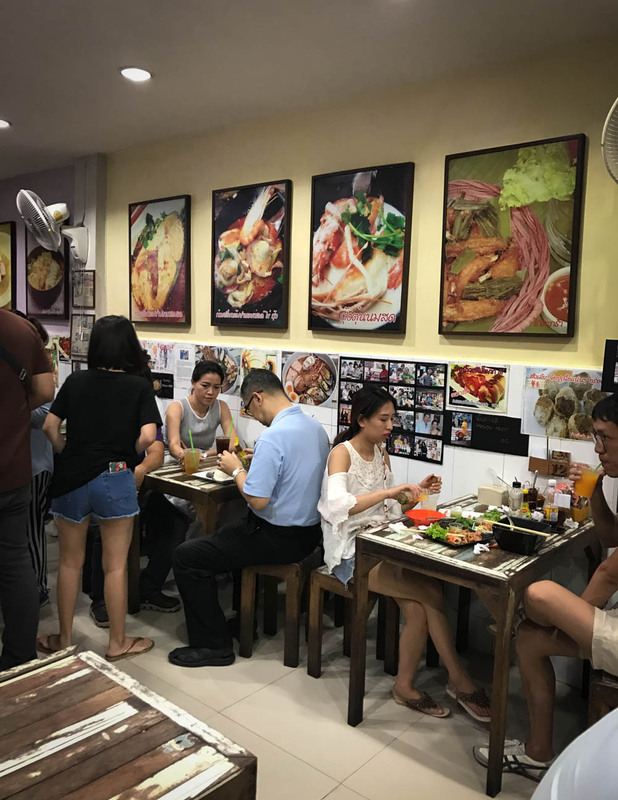 You can watch me eat at Tom Yum Pe Aor in this episode of my ‘Anne’s Asian Adventures’ show.